While you may probably have heard the term property manager, you may not know exactly what they do. 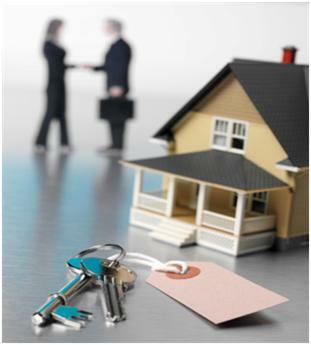 Property managers are people hired to handle day to day operations of a real estate investment. There are many different types of properties that property managers handle including single family homes and apartment complexes. The many responsibilities of a property manager will vary depending on their specific contracts but may include the following. Rent – Property managers are responsible for setting rental rates as well as collecting rent from tenants. Property managers are skilled in setting rent at the right rates to ensure that properties are always occupied. They are also strict when it comes to late fees in the event that rent is not paid on time by the tenants. Finding Good Tenants – Property managers are responsible for screening all tenants to make sure that they are a good fit for the property. This may include running a credit check on potential tenants and running criminal background checks. Property managers must also inspect each property before and after tenants move out of the property to determine how much of the security deposit the tenants get back. Maintenance & Repairs – Property managers are responsible for making sure that the property is well taken care of. If there is an issue, the property manager must hire someone to fix it to ensure that the tenants are happy. Property managers usually have plumbers, electricians and other contractors on call if a sudden repair is needed. Advertising Properties – Property managers must make sure that all vacant properties are properly advertised so they don’t stay unoccupied for long lengths of time. This includes making sure that there is a for rent sign outside the property as well as placing ads in the newspaper and online. Good property managers are skilled when it comes to advertising properties and know what it takes to ensure that properties are not vacant for long. Evictions – Property managers are required to handle eviction proceedings if tenants do not pay rent or if they breach the terms of the lease. Property managers know what it takes to properly proceed with evictions if they feel it is necessary. Property managers have many other responsibilities including supervising other employees, handling emergencies and maintaining records. Property managers can definitely be a huge help for those who own many rental properties and don’t have the time to properly manage them on their own.